Have you ever felt super stressed, and felt the whole world was against you? Then to top it off, you suddenly got super sick, got hospitalized, and suddenly had to do some drastic lifestyle (specifically eating habits and lifestyle) changes to yourself. Then come the bills. Oh joy. Yep that was me last October. Proactiv is a lifesaver! It's good to know that when it comes to preventing acne breakouts and blemishes, the Proactiv Solution 3-Step System is the right choice. As the leading pimple-fighter, Proactiv treats acne safely and effectively by attacking it at the source where a build-up of dead skin cells and bacteria clogs your pores. It is mild enough to use every day. 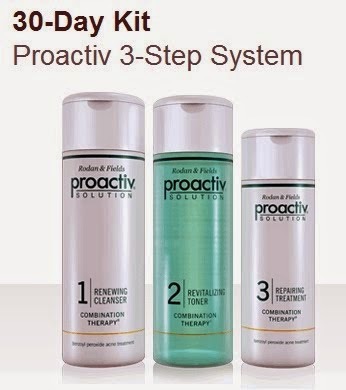 Proactiv gently cleans and unplugs your pores and kills acne causing bacteria. The combination of medicines penetrates deep into your skin to destroy the bacteria and help reduce inflammation and heals the lesion. Your skin clears without the drying, peeling or chemical smell you may find in other products. And you know, that's what I like about Proactiv. It doesn't make your skin dry or let it peel. I mean, yeah I have an oily face, but I know that if it becomes too dry well that isn't good either. 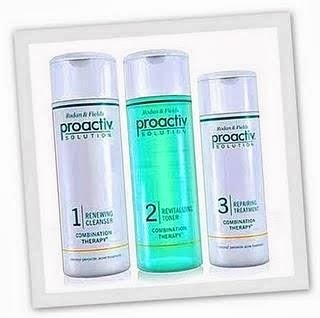 So its really amazing how Proactiv gently and effectively clears your skin. I think I've mentioned about benozyl peroxide before in my "war against acne chronicles" but I'd share it again coz it just must be emphasized how important and effective benozyl peroxide really is. Benzoyl peroxide is a powerful ingredient that is effective against all kinds of acne (blackheads, whiteheads, and big red pimples). It is bactericidal, meaning it kills bacteria, rather than simply slowing down their growth. It also works very quickly improving acne as early as five days after starting treatment. It’s a great first line treatment but it’s also helpful to use in combination with antibiotics for severe cases. It may cause drying, peeling or redness if not delivered in the right amount (too strong concentrations) or surrounded by the right mix of ingredients. Proactiv’s 2.5% benzoyl peroxide concentration is mild, yet powerful enough to kill acne causing bacteria. It is finely milled, with proprietary advanced microcrystals that delivers the medicine without irritating the skin. This benzoyl peroxide technology is unique to Proactiv.